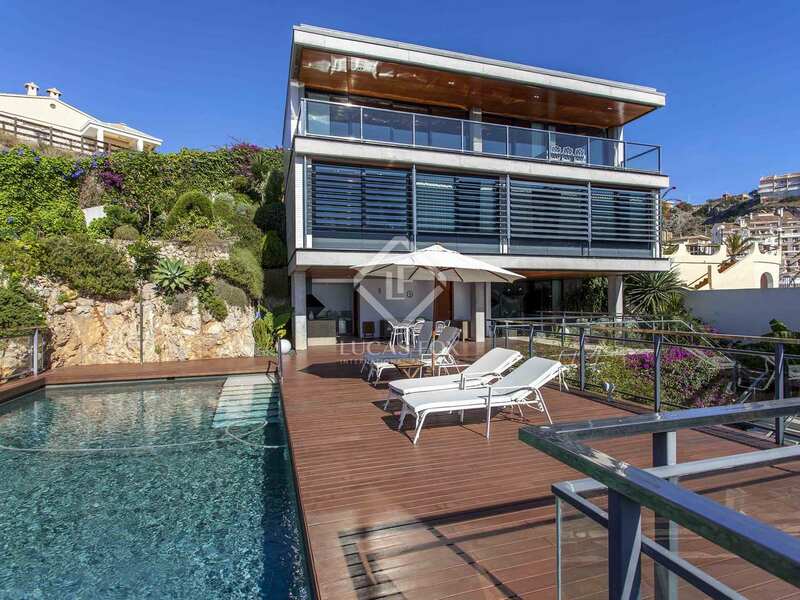 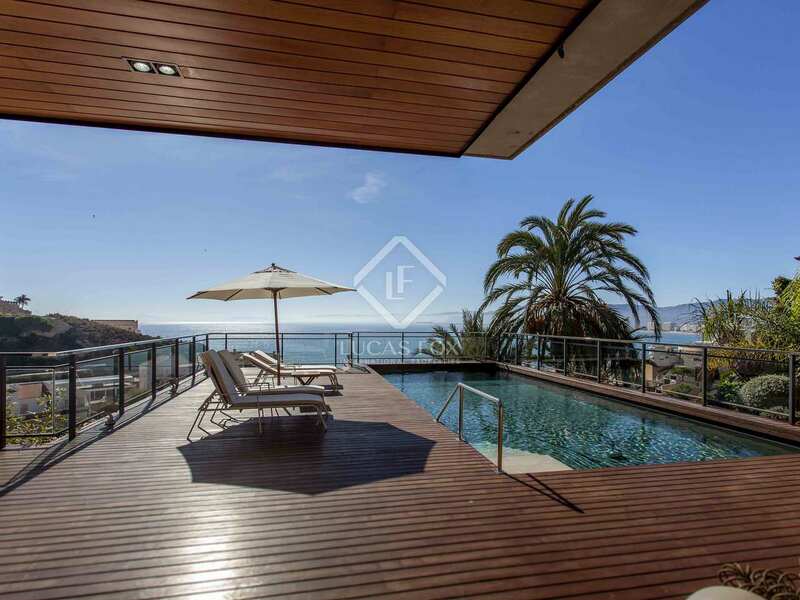 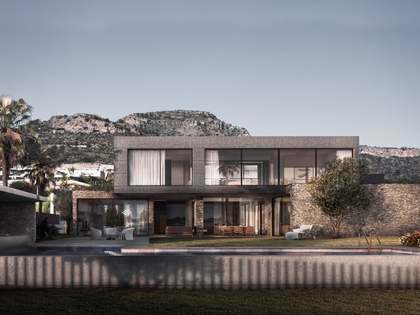 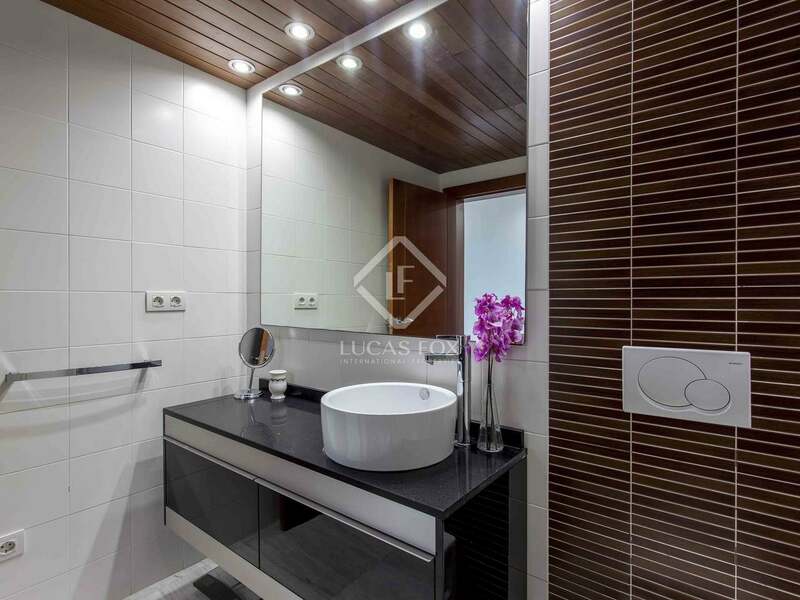 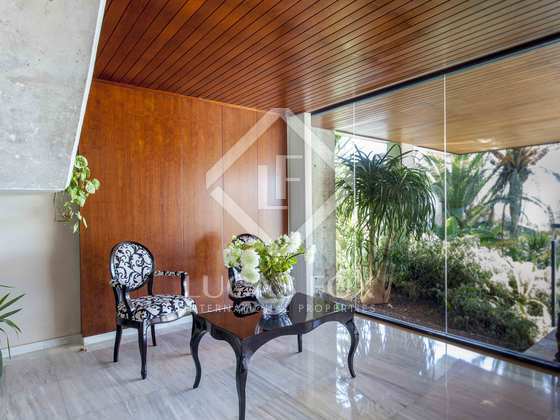 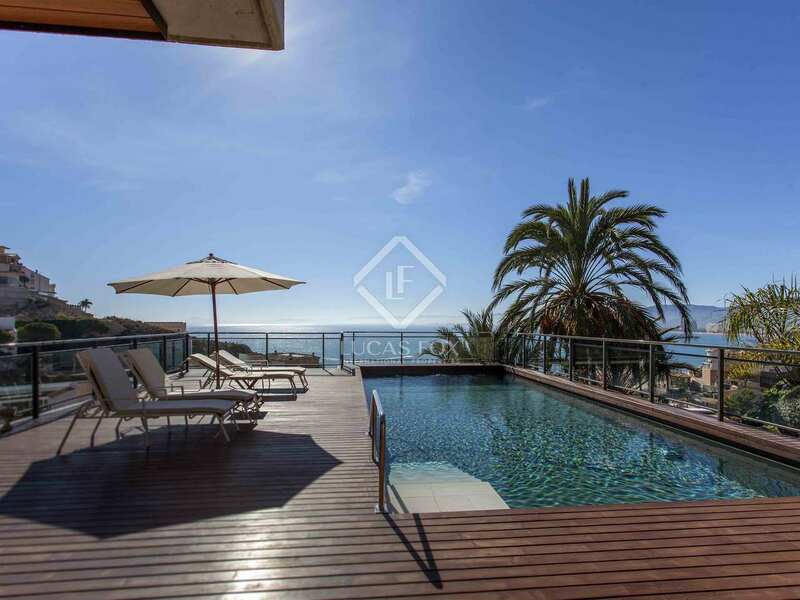 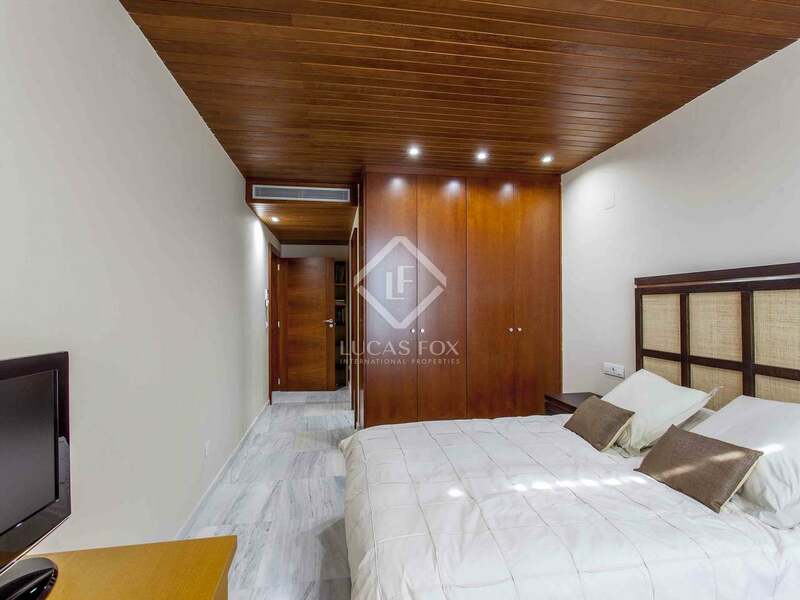 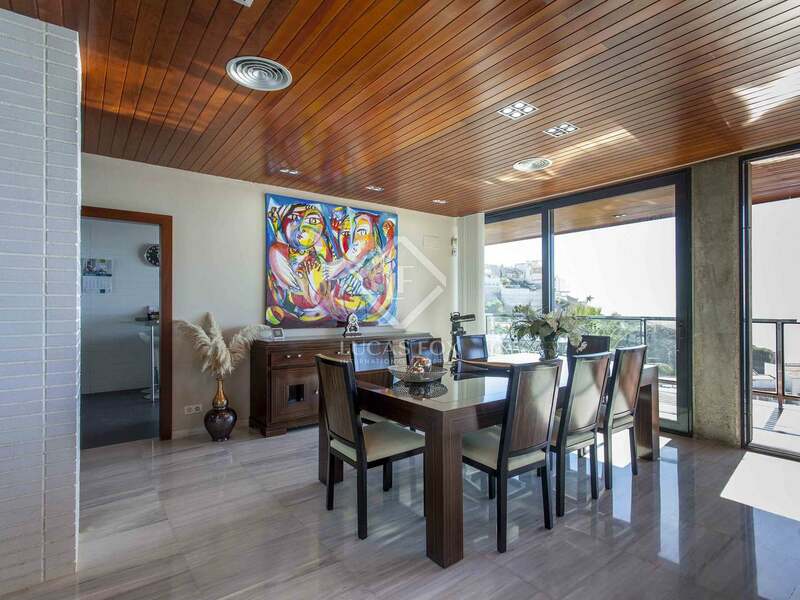 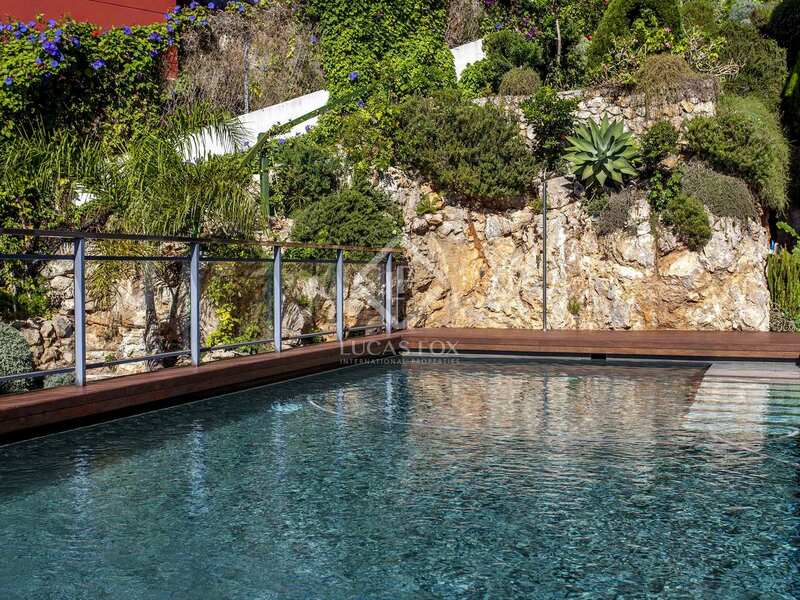 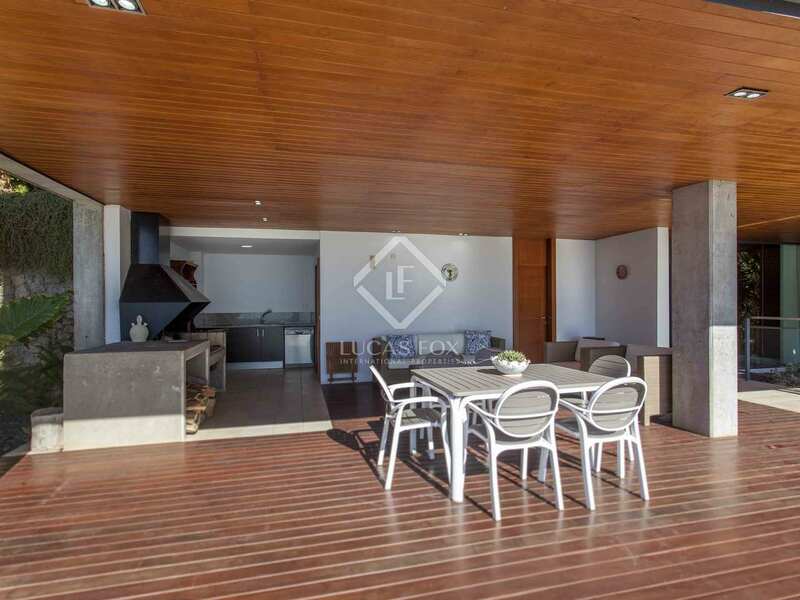 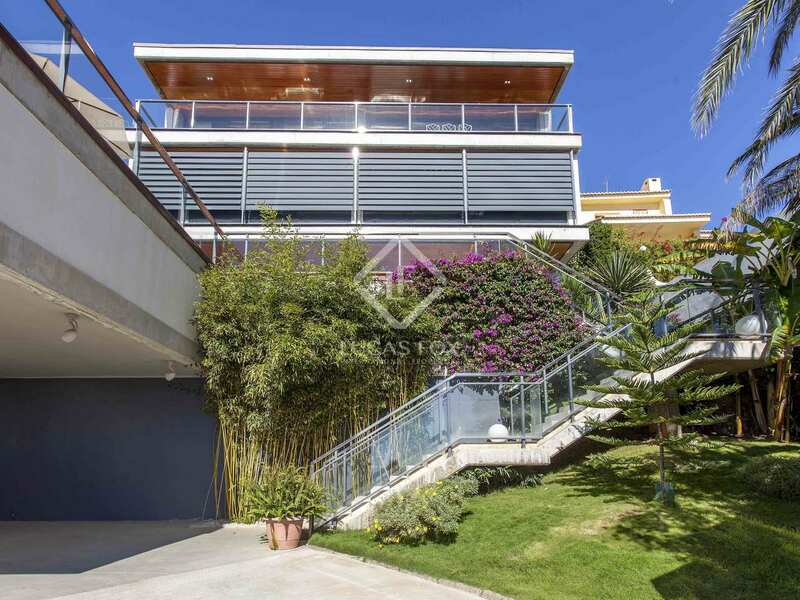 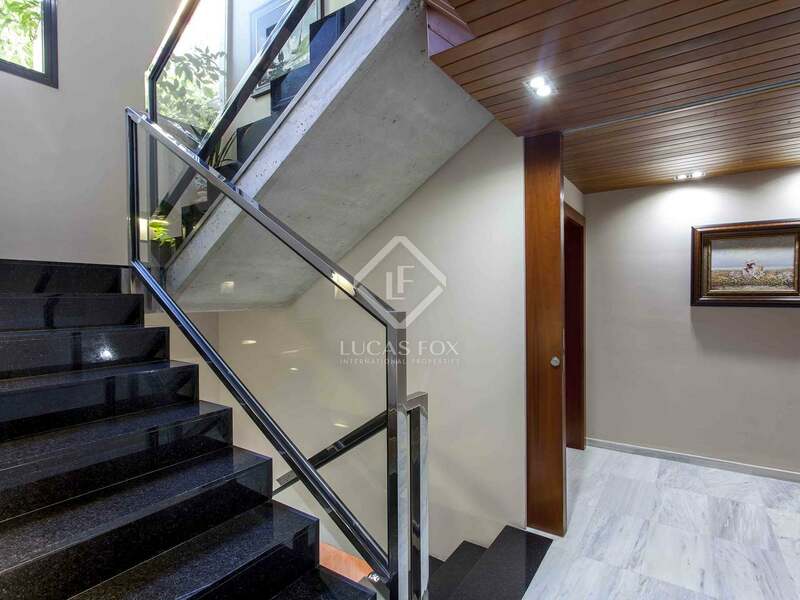 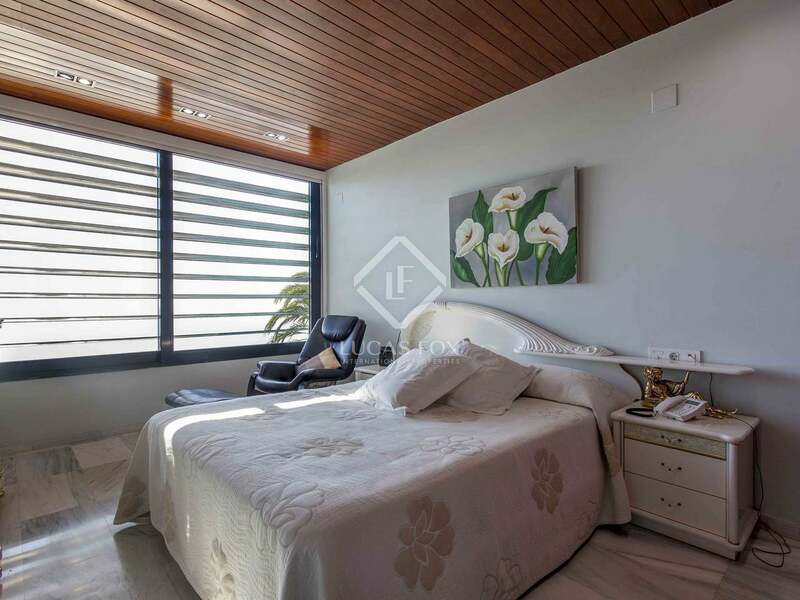 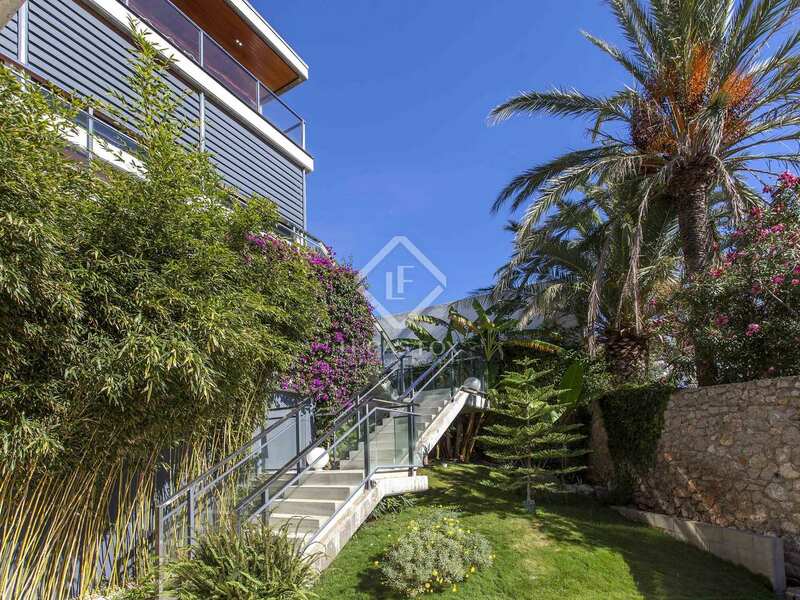 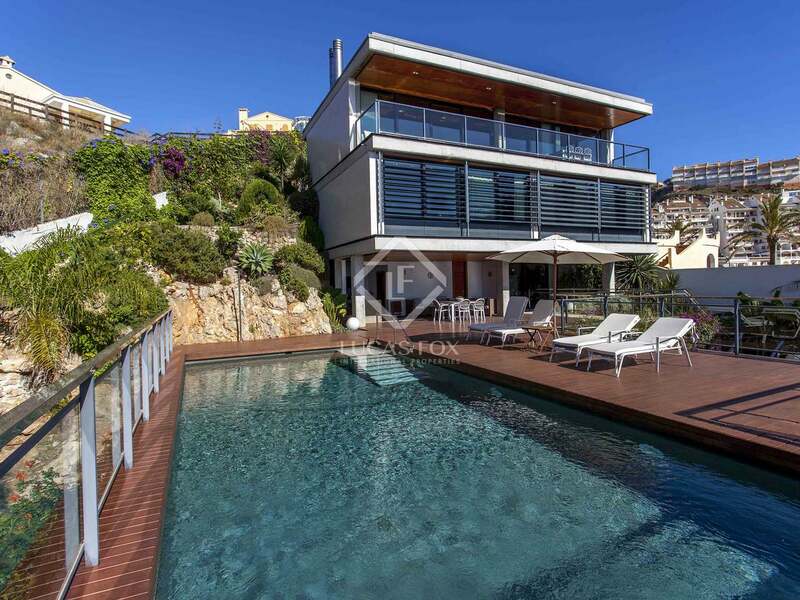 Here we find a fantastic modern style villa in excellent condition, situated on a 900 m² plot in a privileged location on Cap Blanc beach in Cullera, 50 km from Valencia. 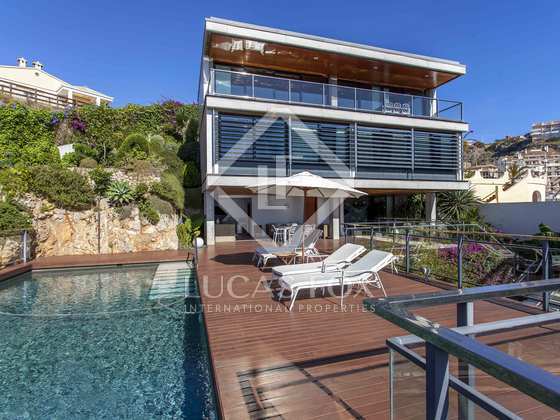 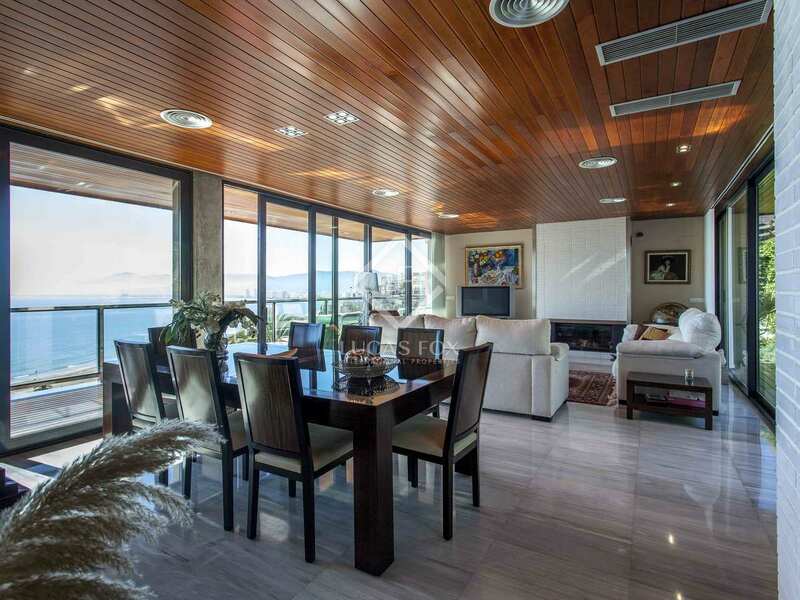 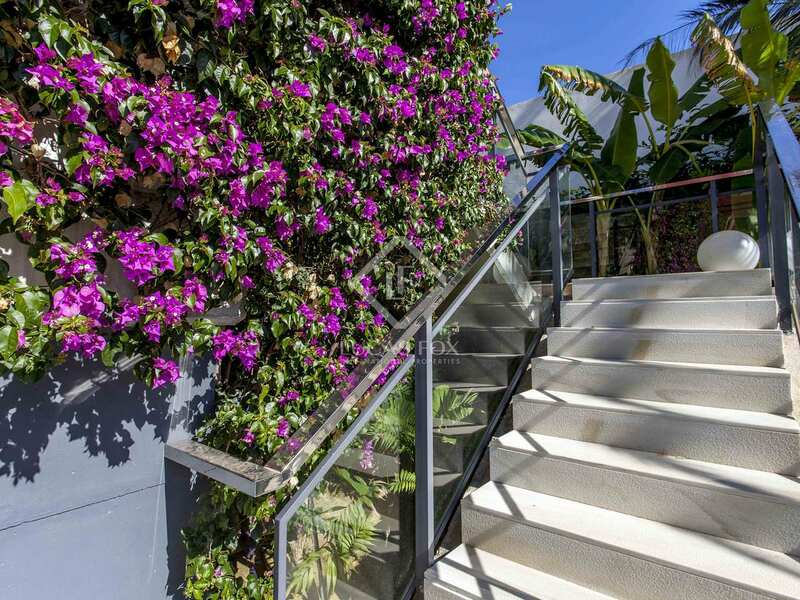 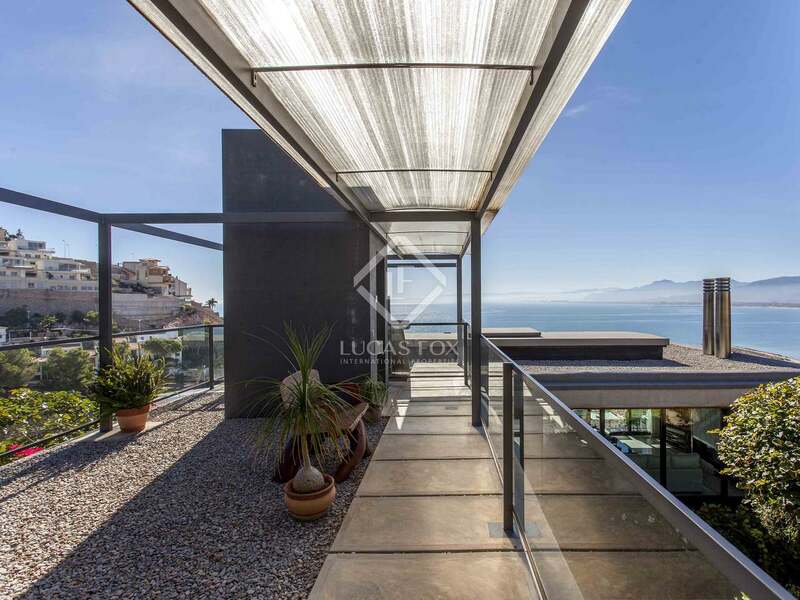 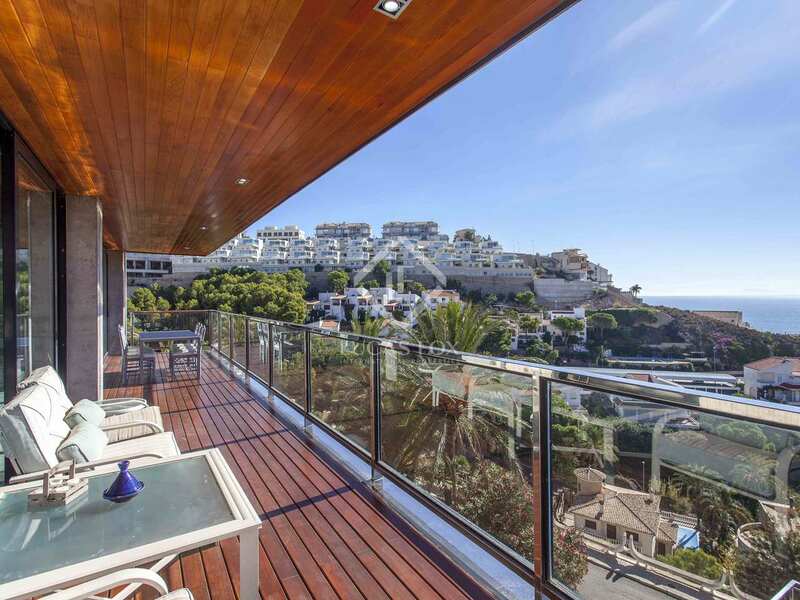 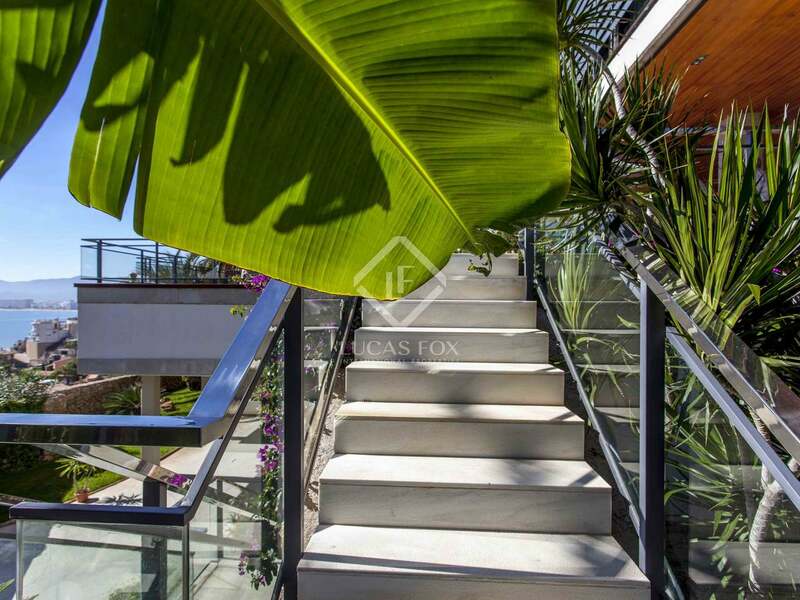 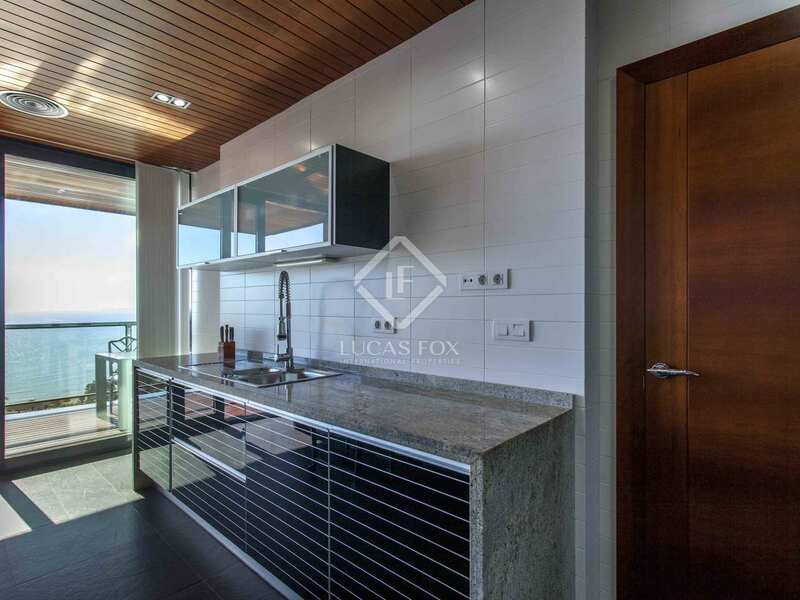 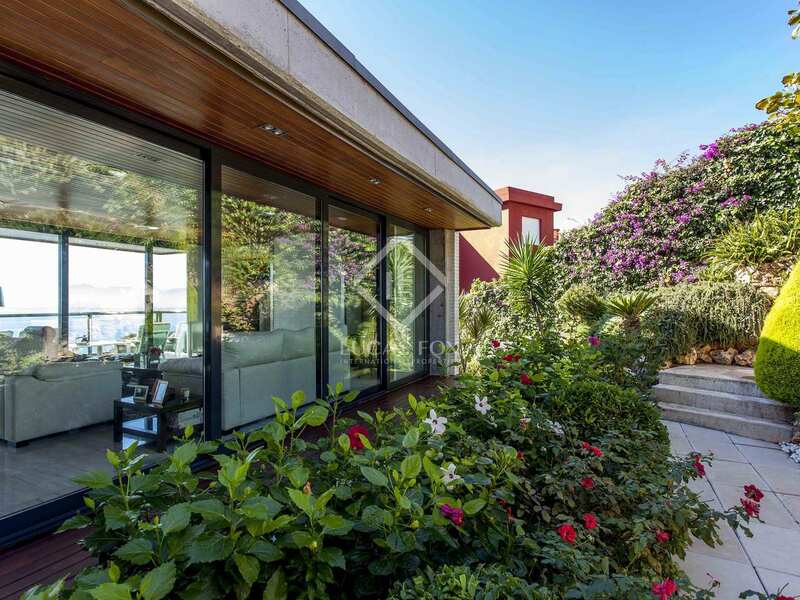 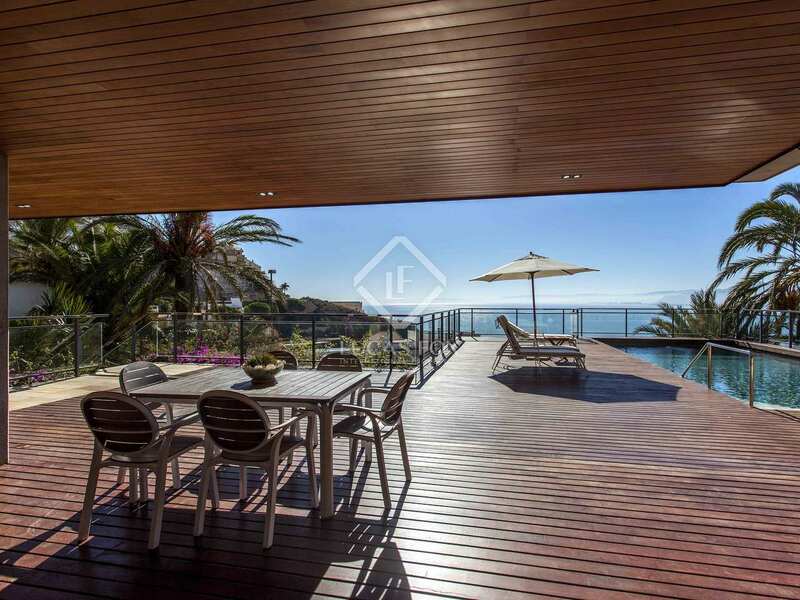 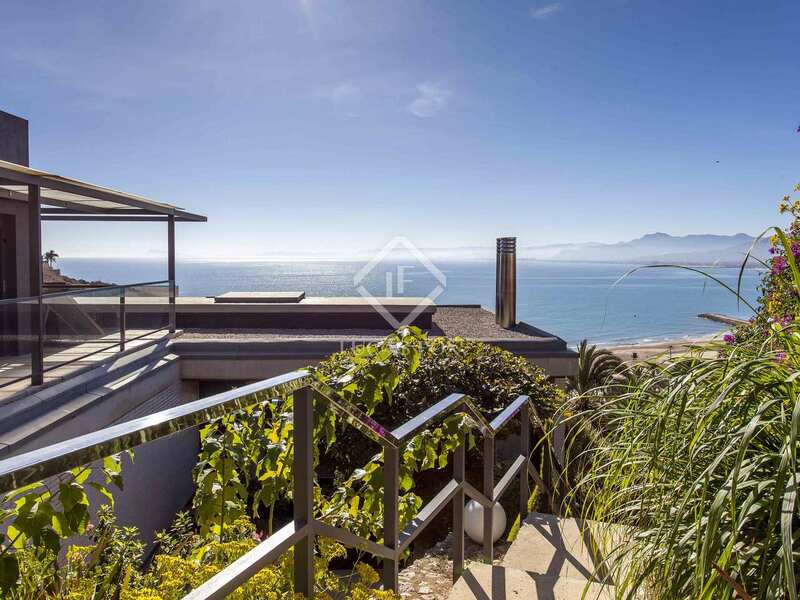 The property offers unobstructed views of the beach and stands out for the quality of its architecture. 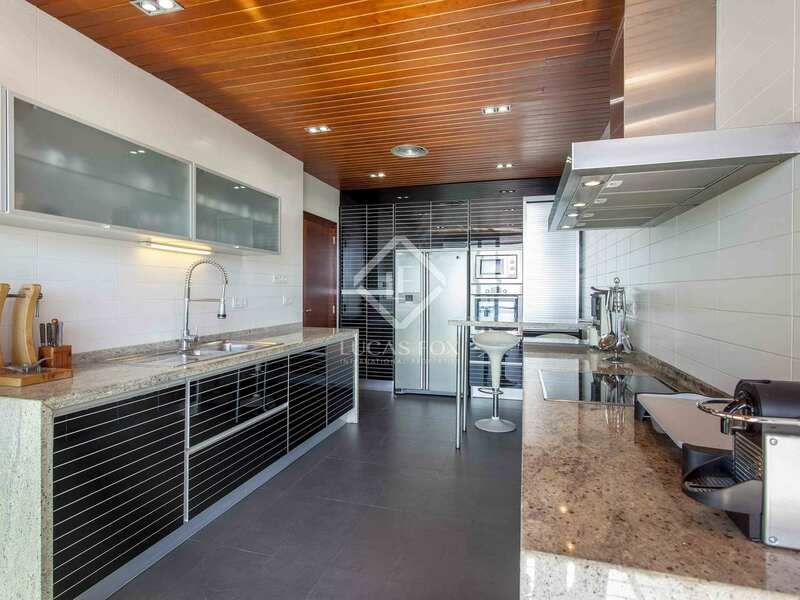 The basement has a 5-car garage, workshop and machine room. 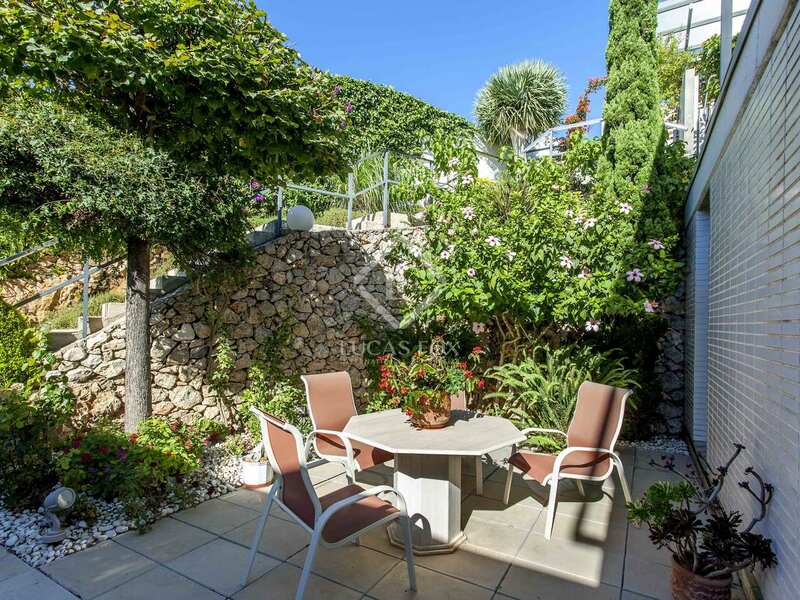 There is a well-maintained garden with papaya, banana, avocado and lemon trees. 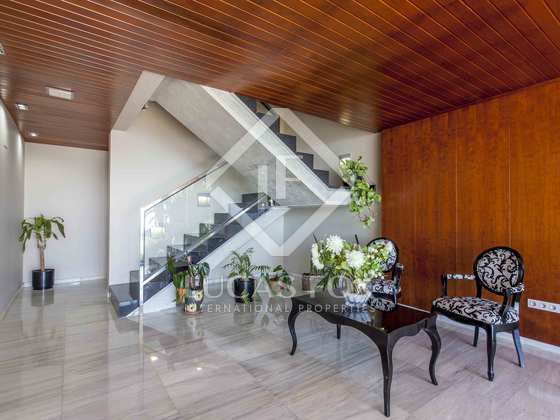 The house is accessed through an entrance hall located on the main floor. 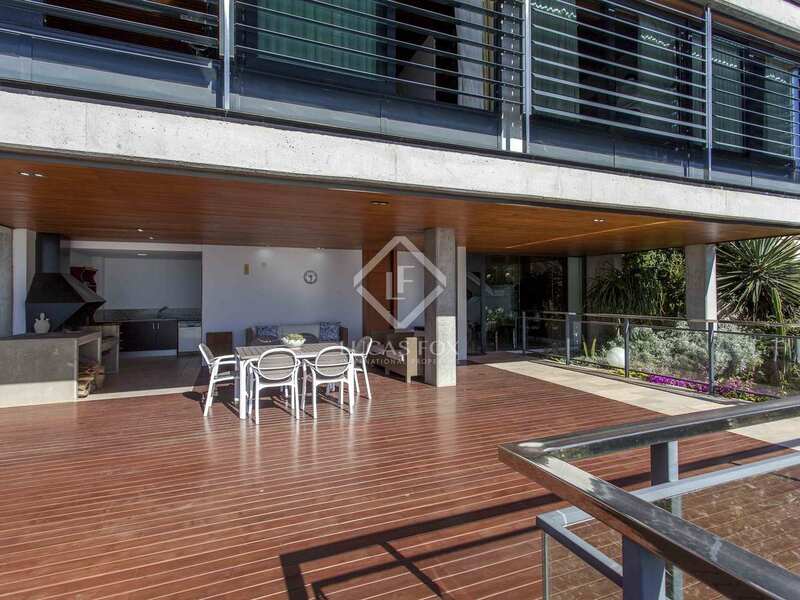 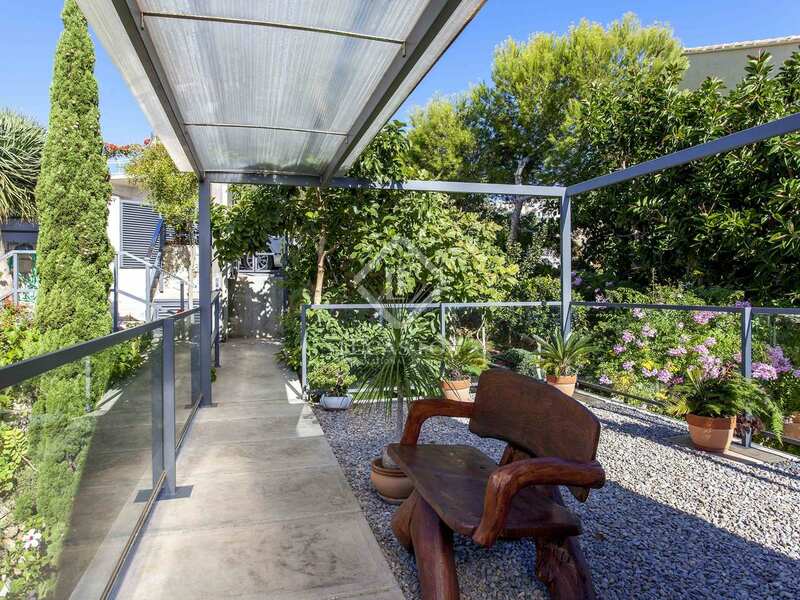 In the outer area of this same floor there is a bathroom, pantry and a large terrace with wooden decking. 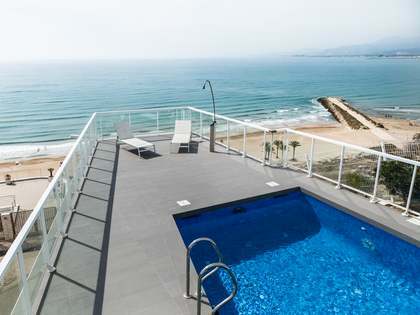 This area has a barbecue, chill-out area and swimming pool overlooking the sea. 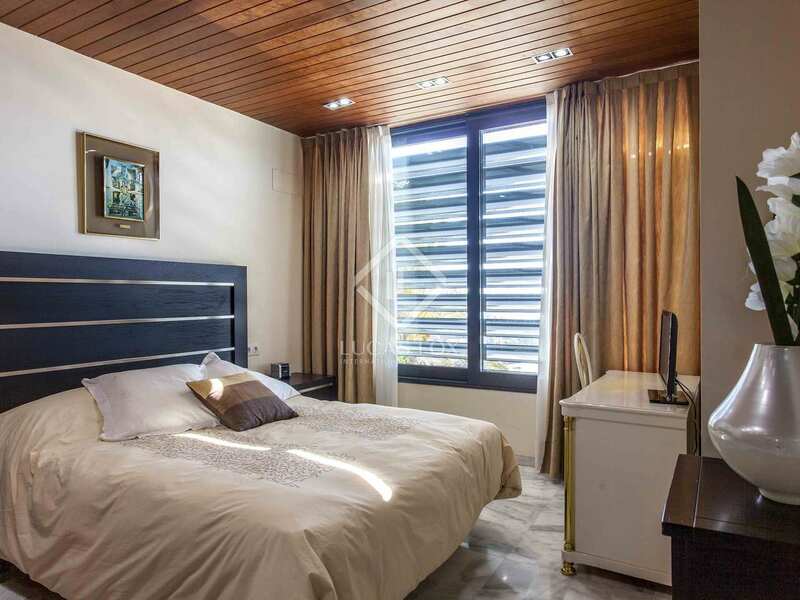 The first floor offers 4 double bedrooms, all with private bathrooms (some with power showers), and several fitted wardrobes. 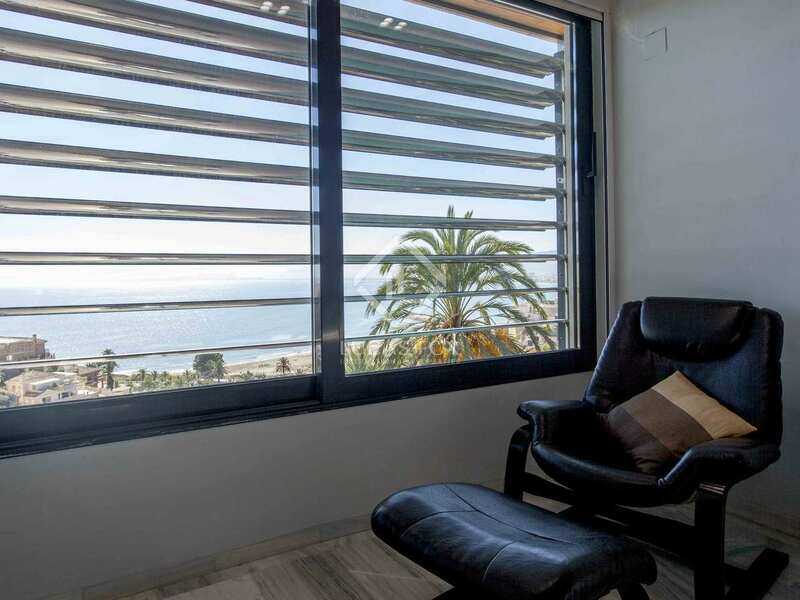 On the top floor, there is a fantastic roof terrace with sea views and a parking space. 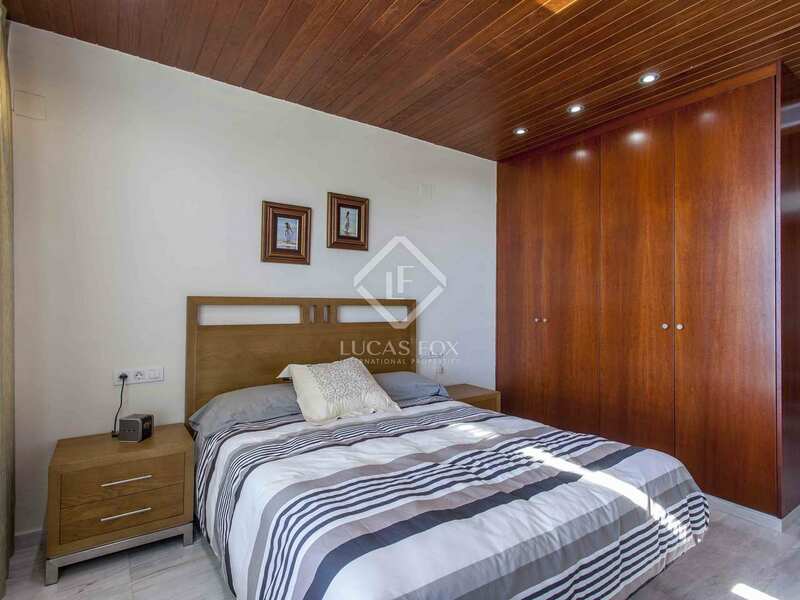 All bedrooms have underfloor heating, and the 4 rooms on the first floor are separated by a security door. 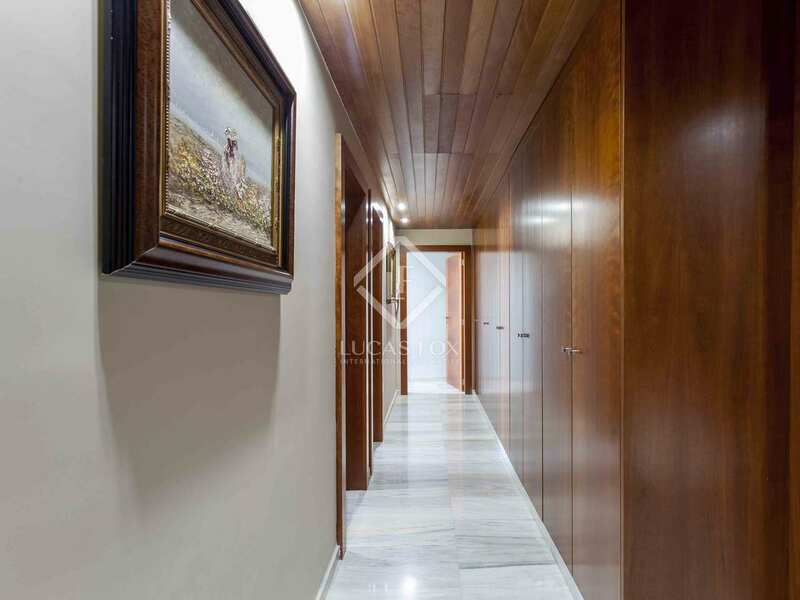 There is the possibility of creating a cellar in the basement if desired. 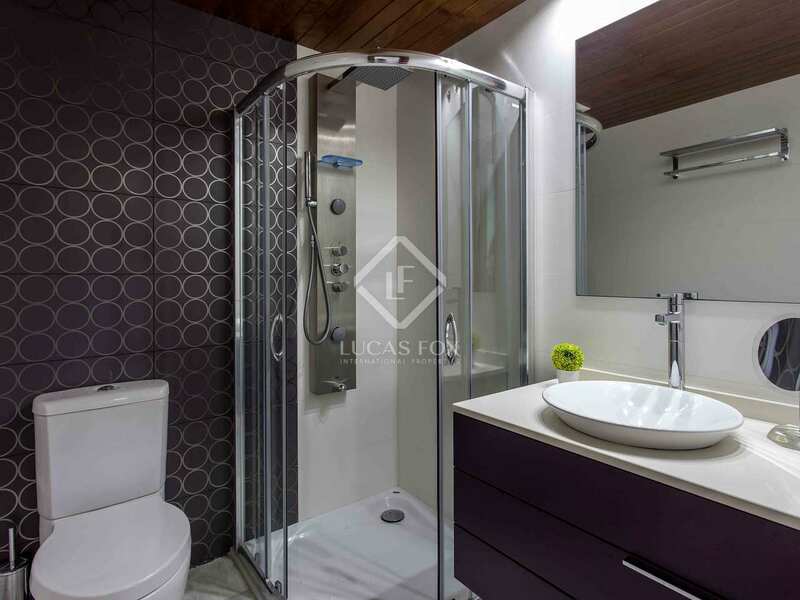 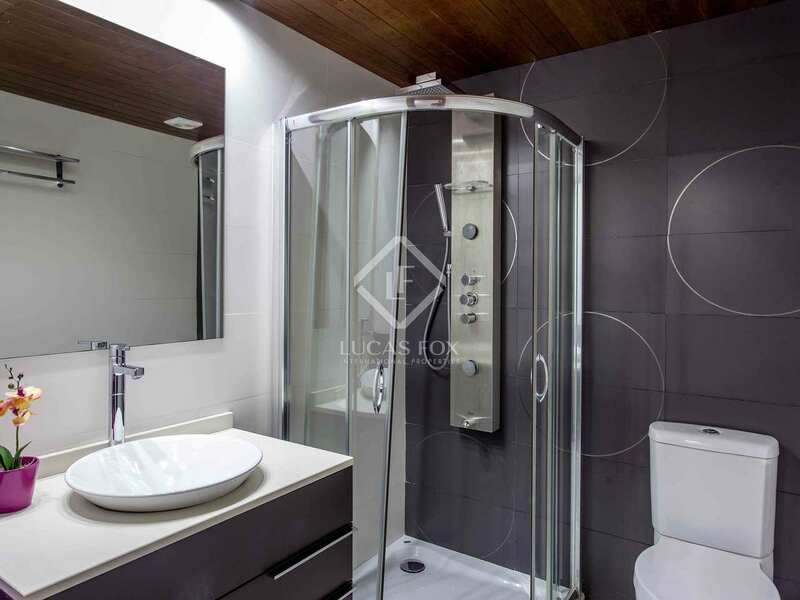 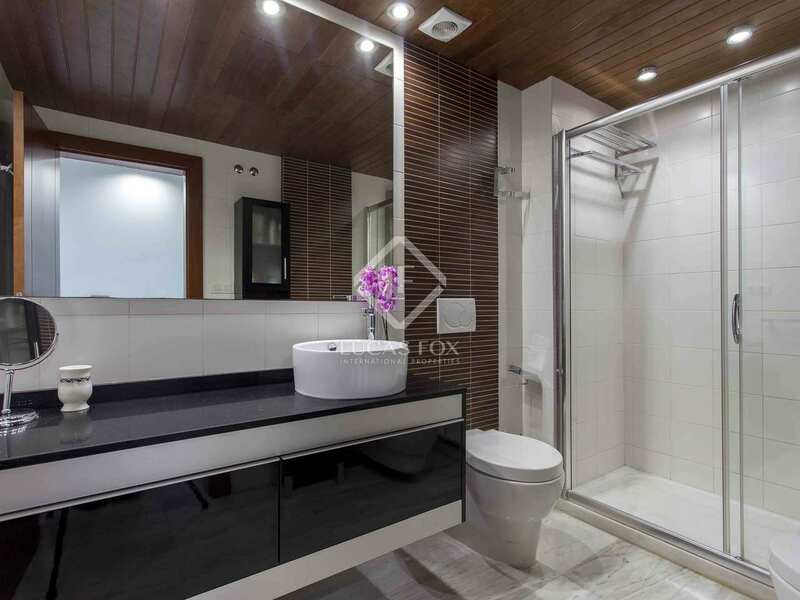 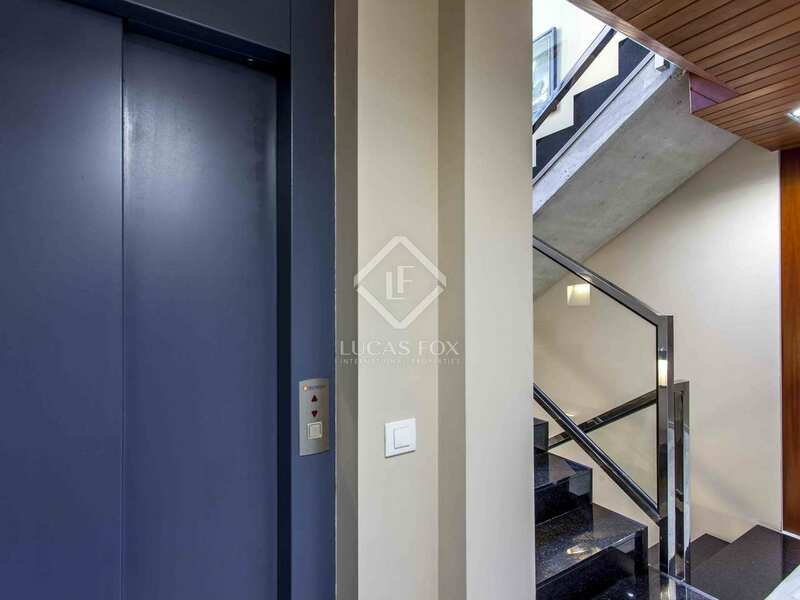 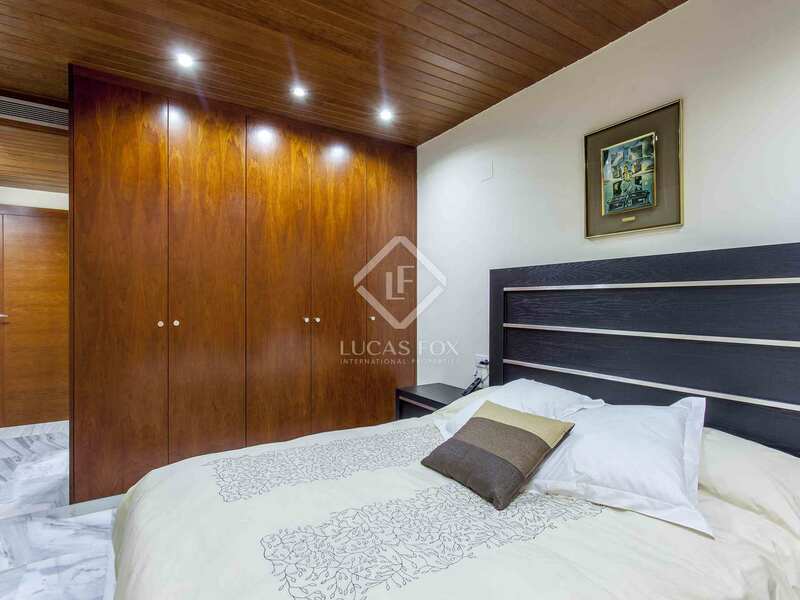 The property has a lift on all floors and central air conditioning with independent temperature in each room. This is an ideal home for families as a first or second residence. 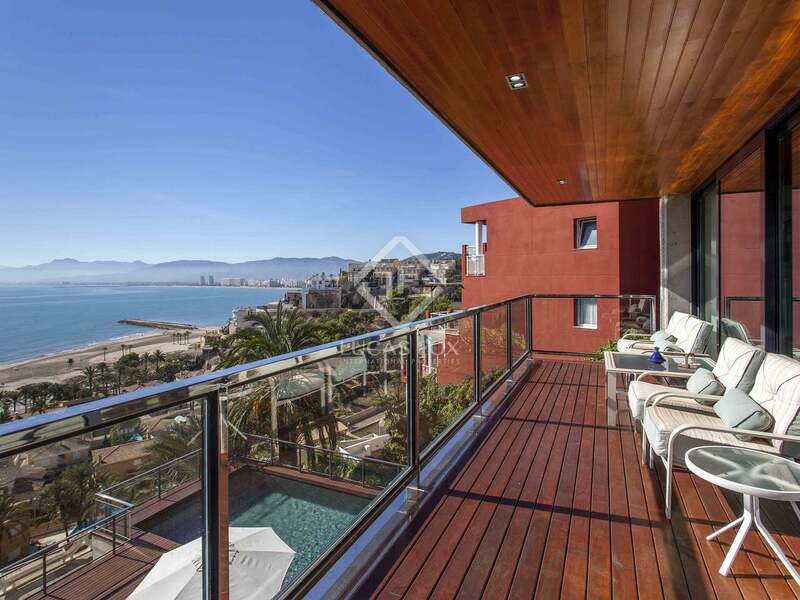 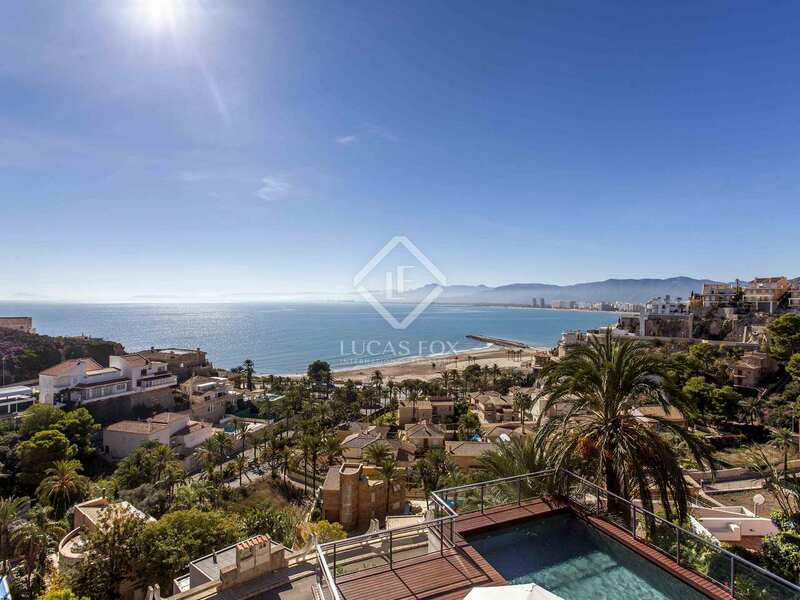 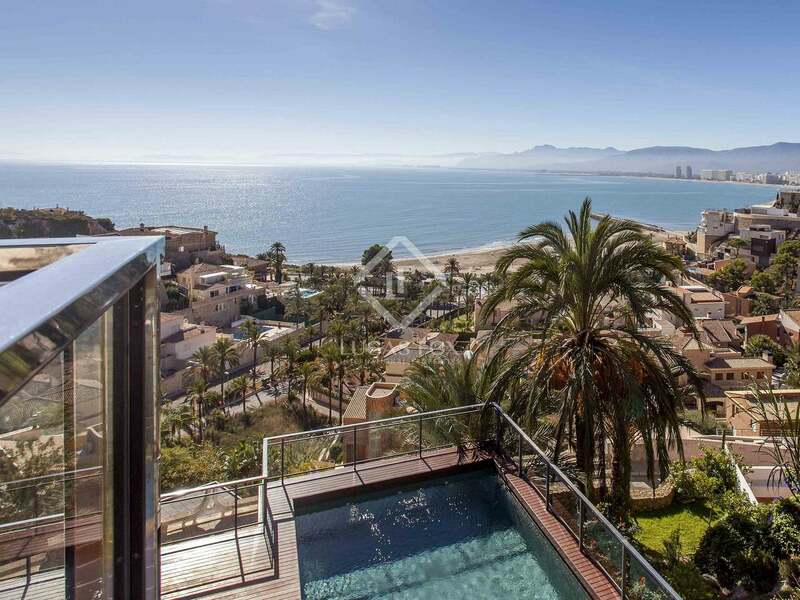 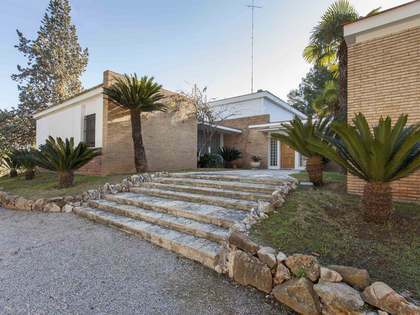 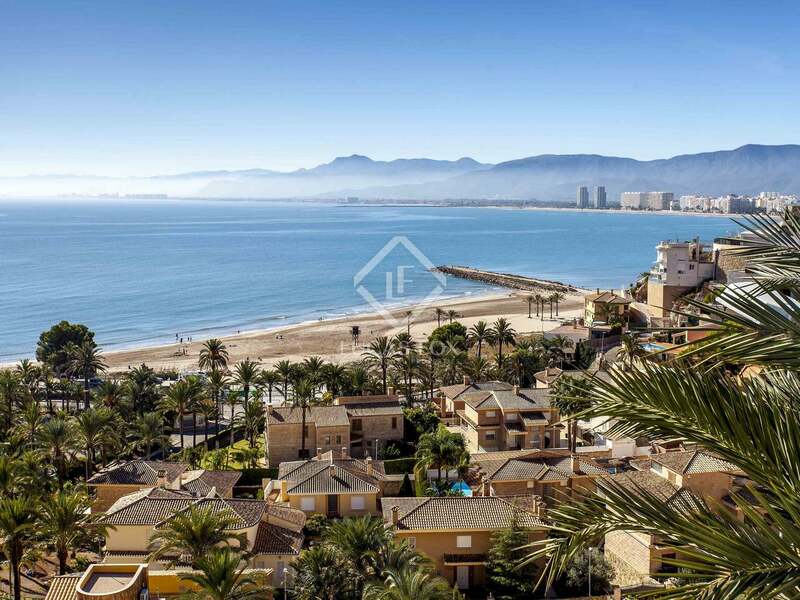 The property is located in a privileged location on Cap Blanc beach in Cullera, 50 km from Valencia.